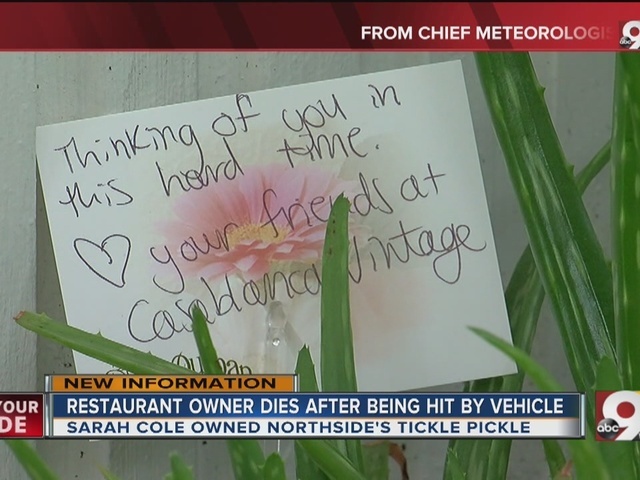 CINCINNATI -- The owner of Northside's Tickle Pickle restaurant died Friday after she was struck by a car a day earlier. A car hit Sarah Cole, of Fort Thomas, while she crossed Hamilton Avenue at 5:43 p.m. Thursday, according to Cincinnati police. Cole, 35, was outside of the crosswalk on the roadway when a 1996 Honda Civic traveling north collided with her, police said. The driver of the vehicle, 28-year-old Earl Woods, was not injured in the crash. Cole was transported to the University of Cincinnati Medical Center with life-threatening injuries. Impairment and excessive speed were not factors in the crash, police said. Cole was chef and proprietor of Tickle Pickle, a Northside burger bar that serves up local and organic food. She also started Sarelli’s, her own catering business, in 2003. In an October 2015 story featuring her farm-to-table burger joint , she told WCPO that she was passionate about affordable, healthy food. Abigail Purvis, a Tickle Pickle employee, said Cole was more than a boss. "We are all going to miss her so much,” Purvis said. “There is not going to be anybody like her ever again." Geneva Adams is one of Cole’s customers. She said she has always enjoyed the burger joint’s atmosphere. 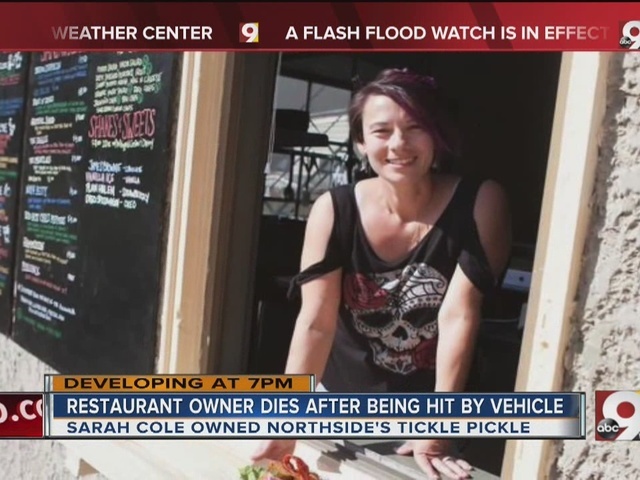 "She was very involved in creating something for our community, even the name itself Tickle Pickle was unique,” Adams said. Purvis said Cole was the kindest, most hard-working woman she has ever met. She said although Cole is gone, Tickle Pickle will stay open in her memory. "We are going to keep it going,” Purvis said. “We are going to take care of it in her honor and if you want to support Sarah Cole and her family, you just keep on eating this amazing food that she invented." The crash is still under investigation. Police ask any witnesses to contact the Cincinnati Police Department’s Traffic Unit at 513-352-2514.